Compatible with mainstream NVIDIA and ATI VGA cards. 4 heatpipes for efficient heat transfer from the base to the heatsink. 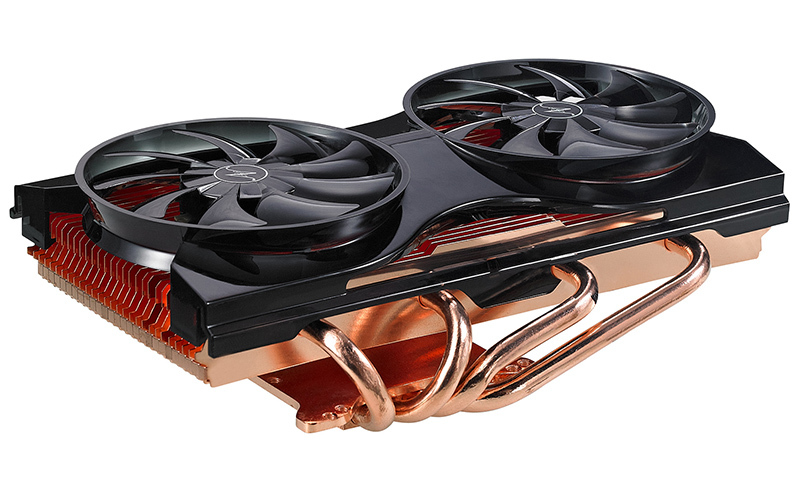 Highly-polished copper base and high-density copper fins offer excellent heat dissipation. Dual 80 mm fans blow heat away quickly. Modding looking with blue LED.